Business. Profit. Success. These are often the words that characterize our thoughts—especially when we are in work-mode. Yet, every once in a while we have an encounter that brings us back to what truly matters in life. Such was the case for me recently. I thought I was simply making small talk. I had no idea what would transpire as we made our way through the hallways. My wife and I were at a hospital for children as our daughter recovered from major back surgery the previous day. Here, our eyes had been opened to a new level of paradoxical discoveries of both parental pain and hope. The children we saw in the hallways, courtyard and in the cafeteria looked just like the children we see on the TV news shows or online clips raising money for treatment of childhood diseases. We saw cancer patients. We walked along kids adjusting to life with physical limitations. We observed children in various stages of recovery from accidents and heart surgery. We couldn’t help but feel abundantly blessed by our family’s health. I made a quick trip that Friday night to the parking garage to retrieve a bottle of water from my car. 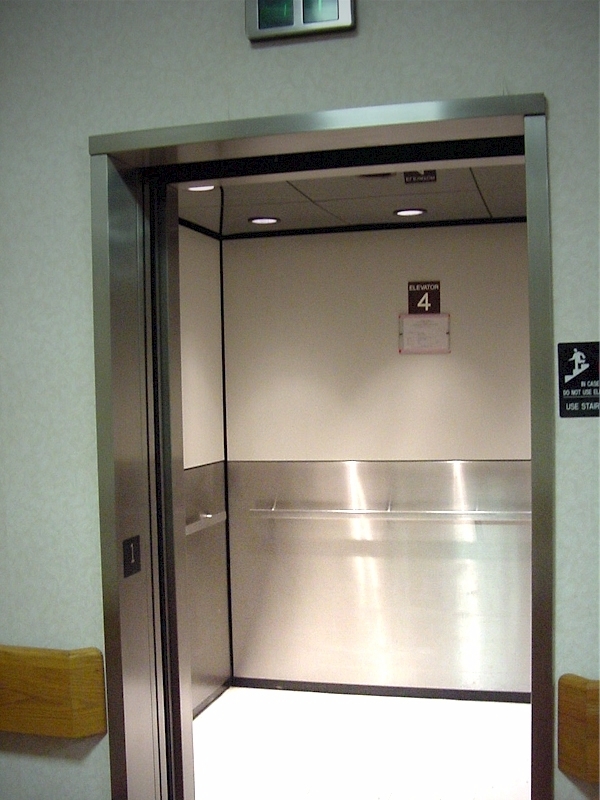 Standing at the elevator that would return me to the hospital was a man about a decade younger than me. In one hand he carried a large unopened box of Pampers. In the other, bags of diapers already dispensed from the box from which they had once been packed. “Boy or girl?” I asked in an attempt to be neighborly. In a hospital where we as parents are concerned about our children there is a sense of camaraderie—we are in this together. The ailments of our children may differ, but we are there for our kids. Tomorrow wasn’t just any day. It was the day this father would say a final goodbye to his 5 year old son. Tomorrow was the day before Father’s Day. We rode the elevator together to the hospital lobby and proceeded to walk the hallways to the next set of elevators that would transport us to where our children were receiving care. On the 4th floor lay my daughter. Her surgery a success, she would be wheeled out the front doors on Father’s Day to head home. There in that same building, his son, alive only because of machines, was only hours away from death, never to communicate with his dad again. As we journeyed, with no visible emotion but with a deep and quiet sadness in his voice, he told me he had been through this before. Just 5 years earlier his oldest son had died of the same disease. Again, I was speechless–two sons in a span of 5 years. Tragic. “I’m not one for sympathy,” he said as we continued to walk. A strange comment, I thought. Then, “My wife died in 2010.” No way! Not only was he about to lose his second young son to a horrific disease, he was doing it alone as a single parent who was still grieving the loss of his wife. As we continued to walk and talk he told me of a third son—a 2 year old who must have been born shortly before his mother’s death. Sensing my pain for him, he offered the only encouraging part of his heartrending story; This third son was healthy and free of the disease that had stolen life from his brothers. As the elevator ascended I knew our next few days would be remarkably different. I would spend another day at the hospital with my daughter on the road to recovery. He would stand by, sit with, or kneel over a little son as a fateful decision would be carried out before his eyes. I don’t remember who got off the elevator first, but as we parted I couldn’t grasp the pain this man was feeling. I never caught his name and he never heard mine. Yet, I prayed for him often that weekend–and continue to pray for him now. I don’t know if this father gained an ounce of support from our conversation. Though tempted to try to say something encouraging, I knew the best thing I could do was listen. And listen I did. How true it is that we often do not realize the level of pain and suffering others are experiencing. As I have contemplated this experience I have been reminded how we in business regularly come across people in crisis; we just don’t know it. Business environments are not always safe places to share our pain, but it is there. Without a doubt, it IS there. Sometimes, it’s a vendor who pops in and out of our office. He delivers the product to the receptionist and heads back to his van for the next delivery. Sometimes, it’s a customer. Chick-fil-A produced an effective training video called Every Life Has a Story. Our company is not in the fast food industry but I showed this video to our team because the message applies no matter what our business may be. If you haven’t seen it, take a look and be reminded of the unseen pain happening in the lives of those with whom we engage in business. Sometimes, it’s our employees. In my role as Chief Operating Officer of our small firm, I also oversee Human Resources—that’s HUMAN Resources. People. This man was an employee somewhere. He has co-workers. He has a manager. He is part of a team engaging in some activity designed to bring a profit. Surely his employer knew of the son’s illness and the preceding family deaths. But how did they reach out? What did they do? I may not have been able to give anything of value to this man, but I do know that by allowing me to peer slightly into his pain I was given a gift; the gift of a lesson. It’s a lesson—a reminder—that while those around us may be going about “business” as usual, there often is an unseen pain that could use a compassionate and understanding ear. It’s a lesson I hope stays with me for the duration of my life in, and out, of business. ← Employee Wellness: What are Outcome-based Incentives? Many times we never know what another person might be experiencing. Listening as you shared many times is the most powerful act of kindness. Thank you for sharing your story. P.S. I’m glad your daughters back surgery was successful. I have been the other father in the elevator. The best gift anyone ever gave me during that process was that of listening. Terry, thank you for your comment. I am sorry to hear of your loss and I pray you have found some comfort, healing and hope. Though painful, this story is beautiful and profound on so many levels. I appreciate that you point out the value of honoring someone’s story instead of passing judgment. It is from this foundation that we can utilize the powerful skill of empathizing with others to land on the same page and honor the similarities of simply being human. I’m also reminded of a message conveyed by an inspirational speaker who suggested that everyone should attend a funeral at least once a year. He said that in most cases the eulogy would not speak of success in corporate type settings but rather in everyday relationships. I’ve never forgotten that message and I know I’ll never forget this beautifully story you’ve shared.